Copyright: © 2004 Paramount Pictures. CC: Closed captions refer to subtitles in the available language with addition of relevant nondialogue information. Meet Mike Donnelly (Chris Farley). He's one lovable, hilarious accident waiting to happen. Dedicated to helping his big brother Al (Tim Matheson) win the race for Washington State governor, he turns every opportunity for votes into an embarrassing disaster. Campaign aide and super slacker Steve Dodds (David Spade) volunteers to baby-sit Mike. Big mistake! When Mike discovers that the incumbent governor is a crook, he dives headfirst into a whole new level of well-intended destruction. Chris Farley and David Spade, the stars of Tommy Boy, once again show why they are "the comedy team of the '90s!" (Leo Quinones, KIIS-FM). 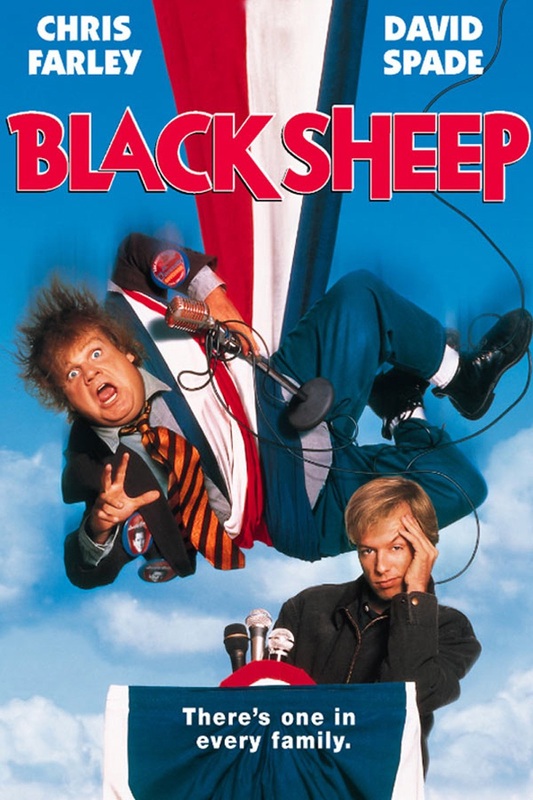 Directed by Penelope Spheeris (Wayne's World) and costarring Gary Busey, Black Sheep is "a crowd-pleaser directed with maximum energy!" (Kevin Thomas, Los Angeles Times). Featuring an electrifying performance by super Seattle band Mudhoney! 2019-4-19 13:20 GMT+8 , Processed in 0.089348 sec., 18 queries .